Off plan or ready-made property -- what you need to know before you buy? Off plan or ready-made property — what you need to know before you buy? Serenia Residence is one of the projects under construction on the Palm Jumeirah. Offplan developments are more affordable to many buyers. 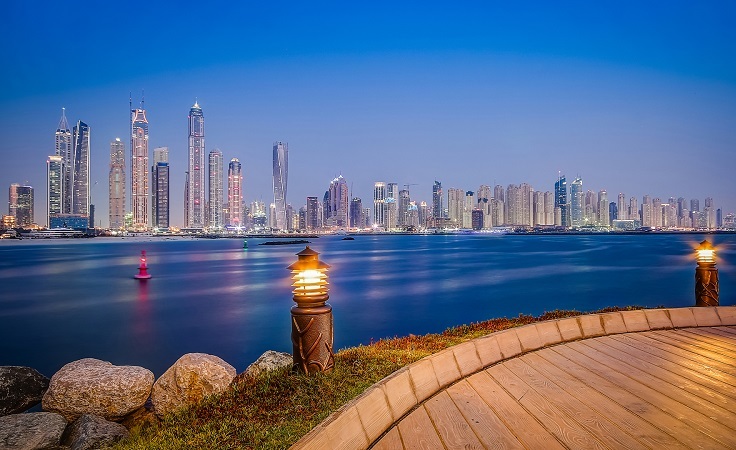 So you have decided to purchase a property in Dubai, but you now face that well-documented conundrum of whether it is better to invest your hard-earned money in an off-plan project or a ready-made property? It’s a tricky question in itself. There has been a long debate on this topic both in Dubai and in the global real estate market. Depending on whom you ask, there are differing answers. Developers will undoubtedly advise that off-plan is the better option, yet many other experts maintain that completed properties are the safer and, therefore, wiser choice. So what do you do? take into consideration when making this all-important decision. We tackle this first as it is often the deal breaker when investing in property. Your budget will determine where you invest, when you invest and what you get for your money. Investing in off-plan property may allow you to achieve more bang for your buck. Many developers in Dubai are now offering more and more appealing payment plans for off plan properties, with little or no down payment and affordable monthly instalments spread out over a number of years. This allows many would-be investors to purchase something that they perhaps may not be able to do on the ready-made market, where the full funds would be required immediately. This is the main benefit of purchasing off-plan — you can spread out payments over a longer period as well as achieve a better price than if you were to purchase a similar completed property. Unfortunately, not everyone wants to wait months or years to take possession of the property. Many buyers want to move in straight away or receive an immediate return by renting the unit out. This brings us to our next consideration. Are you buying the property as an end user or as an investor? This is as important a consideration as your budget, and in some ways is even more significant. Ready properties are perhaps a more attractive proposition for both types of purchasers: it allows end users to move in and use the property immediately, while investors will see an immediate return on investment through rental yields. You also get what you see — it is tangible as you can physically inspect the quality of the building or project, facilities and amenities in the area. The downside to this is that the pricing for a ready-made property is often higher. While off-plan is often more affordable, you will need to wait for completion before you can benefit from your investment. There is also another risk involved with off-plan that we will touch upon further below. If you are looking for capital appreciation primarily, then off-plan projects are certainly a strong consideration as gains tend to be higher when buying off-plan. It is, however, vital to do your homework. Research the area in which the property is being built, the facilities and amenities available now and in the future, the price and the developer’s track record. Look at floor plan and the master plan of the project. Know what you are getting into before you sign that contract. Make sure you are happy with all of this so you can invest your money with the confidence that this knowledge provides. There are certain added risks that come with off-plan property. Off-plan purchases are exactly as they sound — you are purchasing a property from a plan. You are, therefore, at the mercy of the developer, contractors and a whole array of other potential factors when investing in a project that is yet to start or finish construction. It is not uncommon to have delays in construction, receive a lower-quality property than promised or worse, have the project cancelled by the developer. When you sign that contract, you are tied for the long run as is your investment. It is true that the laws have improved greatly with the introduction of escrow accounts, Oqood registration and a Cancelled Projects Committee at the Real Estate Regulatory Agency, however, the risk is still there if proper due diligence is not taken (and sometimes even when it is). There is also the risk that the market may decline by the time the property is handed over. No one has a crystal ball to determine the best and worst time to invest, so there is always the potential of a different market outlook at any given time. Only you can decide on this. It depends on a number of crucial factors, as well as your overall objective. You need to determine whether you want to benefit from the property now, which comes at a price, or whether you wish to benefit from lower purchase prices and flexibility in terms of payments. Both offer their own advantages and disadvantages (see box). The choice is yours.